If you are a native of Omaha, Nebraska you may already know that your hometown hosts one of the most time tested and wholesome sporting events in the nation. However if you reside outside of the Cornhusker state, it’s possible you have never even heard of the College World Series (CWS), baseball’s equivalent to college basketball’s Final Four, or football’s BCS Bowl games – both staples of sports fans everywhere. Either way, it’s time for you to consider making plans to see this bastion of sporting integrity play out live before your eyes. Though the country now enjoys a smorgasbord of sports choices – swimmers like Michael Phelps and tennis players like Rafael Nadal are as popular as stars in football, basketball and hockey – America grew up on the national pastime of professional baseball. But the problem in recent years has been the number and depth of issues and allegations that have tainted the pro game. 2009 College World SeriesThe warranted smear that steroids placed upon many of the profession’s top players has irrefutably altered the foundation of honesty in the game. Outrageous ticket prices at stadiums across the sport and at certain venues in particular have priced the average fan out of the fun. And ever-escalating player salaries really do create an unfair advantage for large-market teams that can pay their way to the top more often than not. 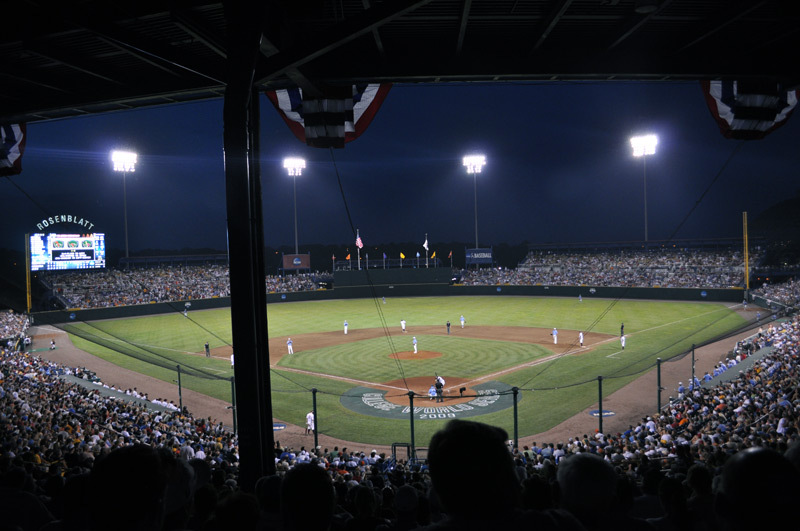 So if you are ready to get back in touch with the purity of the pastime you love, plan a trip to the Omaha in 2009. The CWS was first played in Kalamazoo, Michigan in 1947, but the venue was moved to Omaha in 1950 after a two-year stint in Witchita, Kansas. 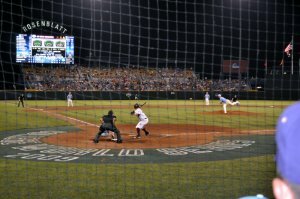 That original series was viewed by 17,805 people, but beginning in 2011 the series will be moved from current Rosenblatt Stadium to a new arena that seats 24,000. 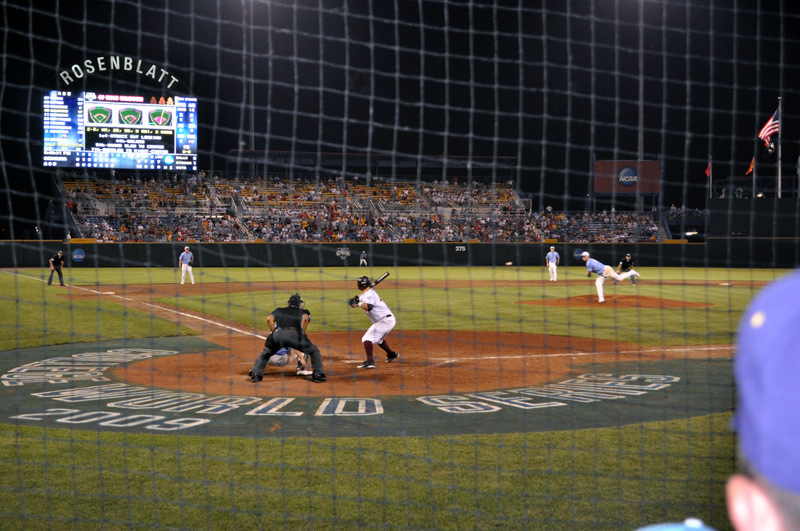 Behind Home PlateThe non-profit organization that runs the CWS likes to tout the event’s “humble beginnings.” That is a phrase that can be bandied about lightly by groups that wish to curry feelings of pity or admiration, but in the case of the CWS it is actually apt. After all, the event lost money in 10 of the first 12 years it existed in Omaha. 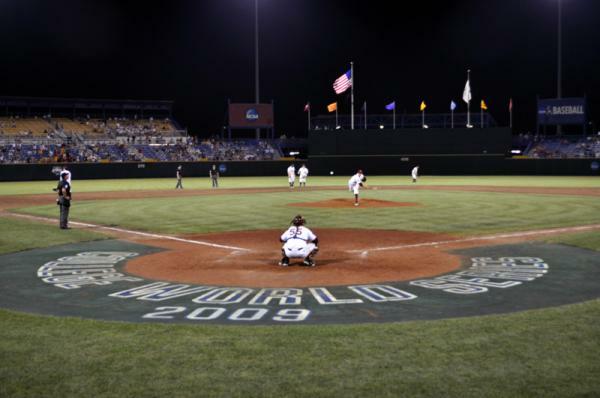 The dedication that CWS organizers showed in promoting and supporting the spectacle has finally paid off: The NCAA recently signed a 25-year agreement with the College World Series of Omaha, Inc. That means the CWS will remain in Omaha through 2035. According to CWS officials, no other NCAA championship even comes close to the longevity in one location that the CWS enjoys in Omaha. The baseball itself is exhilarating. 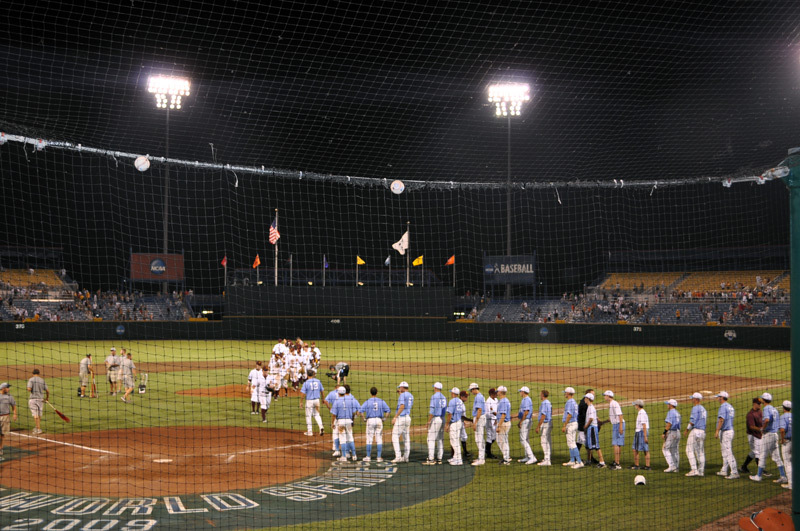 In 1999 the National Collegiate Division I Baseball Championship expanded from a field of 48 teams to 64. The champions of all 29 NCAA Division I conferences automatically qualify for the championship, and the remaining 35 teams are selected at-large. The 64-team bracket is comprised of 16 four-team double elimination Regionals, then eight two-team, best-of-three Super Regionals to lead up to the eight winners advancing to Omaha for the CWS. 2008 was a year for the dogs at the CWS. In fact a bulldogs squad was bound to win either way. 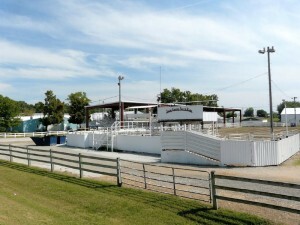 That’s because the two final teams featured the Georgia Bulldogs and the Fresno State Bulldogs. Fresno State became the eventual champion after beating Georgia in the last two of three games to take the title – winning 19-10 and 6-1, respectively. 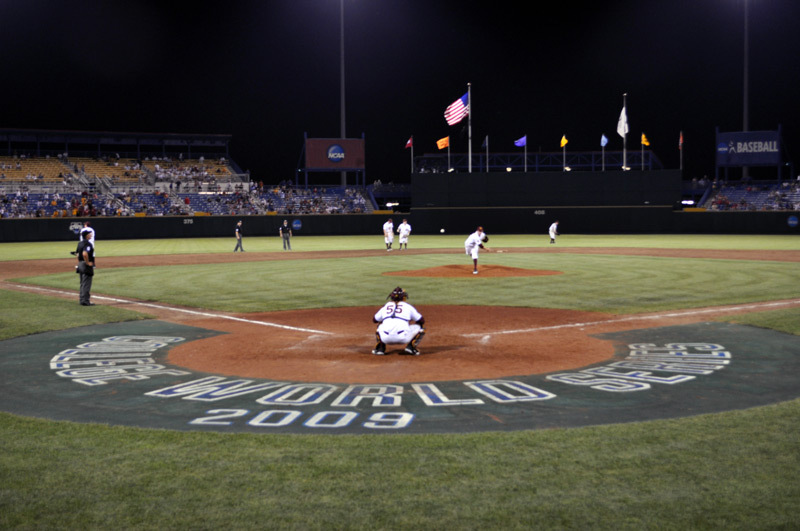 In 2009, the CWS will run from June 13-24/25. So if you are ready to the sing the “Back Home in Omaha” lyrics and enjoy genuine baseball in a no-nonsense environment, book your tickets now for the college experience. Find all pertinent ticket and transportation information just by visiting the CWS website. Joe Levit also writes a column for Sports Illustrated (SI.com), TheHuddle.com and Scout.com. Good stuff Joe…and I don’t mean the stuff you used to grease your baseball with. Baseball is still a sport that smaller guys can still make it to the big league if you have the skills. There should be no excuses to allow drugs in baseball (or another sports)…period!! If you get caught twice cheating then you should be banished from the game. Omaha.net should seriously think about revising this page especially since the CWS is no longer held at Rosenblatt, but instead at the new TD Ameritrade Park. Hey, thanks for the comment. 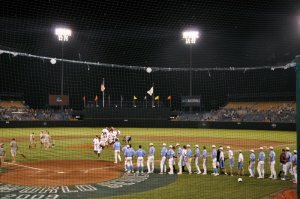 This article was published back in 2009 about the upcoming 2009 CWS. So it wasn’t meant to be a static article about the event in general. But your point is noted and it would be great to get a page up about the CWS in our annual events section. We’re largely a community powered site - anyone is welcome to submit content. Any interest? Sorry, there are no other articles by this writer.